We already discussed about moved gestures on android 8.0 Oreo devices. Both android 8.0 and 8.1 Oreo device has includes 5 gestures. In android 8.1 Oreo, you can easily find gestures under system settings. 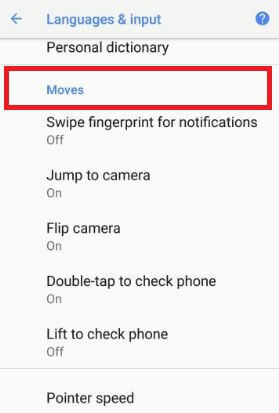 In android 8.0 devices is quietly difficult to find moves gesture compare to android 8.1 Oreo devices. Let see how to use gestures on android 8.1 Oreo devices such as Google Pixel 2, Pixel 2 XL, Google Pixel, Pixel XL, Nexus 6P, Nexus 5X etc. 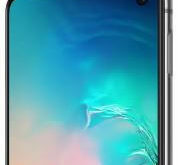 Gestures are useful to quickly open camera or switch between front & rear camera and show notifications on lock screen without unlock your android 8.1 Oreo devices. One of my favorite gestures is swipe fingerprint gesture. You can enable fingerprint gestures on android 8.1 Oreo using this setting. Here’s how to use gestures on android 8.1 Oreo devices. Android 8.1 includes 5 moves gestures including Swipe fingerprint for notifications, Jump to camera, Flip camera, Double-tap to check phone and Lift to check phone. 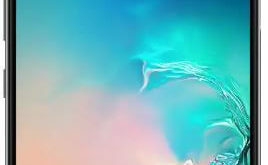 Let see one by one gestures use. 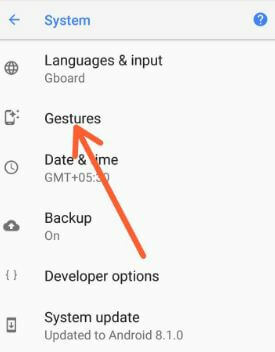 You can see below list of given gestures on your android 8.1 Oreo devices. By default turn off this fingerprint gesture in your Pixel 2 and Pixel 2 XL. To check your notifications, swipe down on the fingerprint sensor on back of your Pixel 2 and Pixel 2 XL devices. Enable this android 8.1 fingerprint gestures to use in your device. Press the power button twice to quickly open camera in your Oreo devices from any screen. 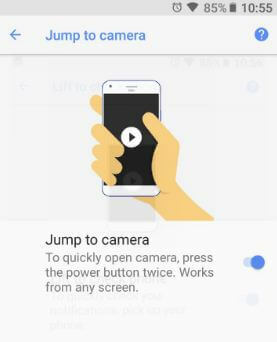 By default enable Jump to camera gesture in android 8.1 Oreo. When your device camera open, double twist your android Oreo device to switch between front cameras to rear camera. 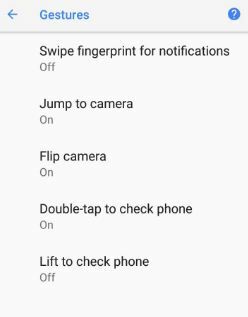 By default enable flip camera gesture in android 8.1 Oreo. Just double tap on your screen to quickly check message notifications you missed to read without unlocking your android 8.1 devices. This android 8.1 gesture is helpful when you’re busy in the work at home or office. 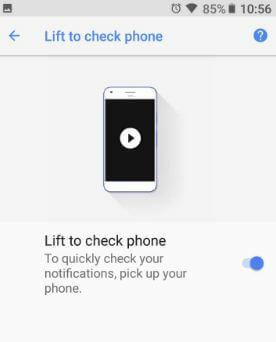 Just pick up your Pixel 2 and Pixel 2 XL device to quickly see lock screen notifications. Here you can see moves list in your android 8.0 Oreo devices such as Google Pixel, Google Pixel XL, Nexus 6P, Nexus 5X etc. That’s it. I hope this tutorial helpful to use gestures on android 8.1 Oreo devices. 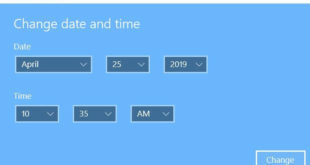 If you have any kind of problem, tell us in below comment box. Stay connected with us for latest android Oreo tips.